During the summer of 2016, a group of students and I decided to take to the streets to see what communities in East Los Angeles thought about their child’s school and to educate voters about local education issues during a much-anticipated local election. During my canvass, I encountered many families that didn’t speak English who didn’t even know the school district they were in. Not only that, but many wrongfully believed that charter schools were private or for-profit schools that they couldn’t access. Take Miguel’s family, for example. His family lives in District 2 with two children attending a traditional school, Garfield High School. Like any other family, Miguel wanted the absolute best for his children. During my conversation with Miguel, he mentioned that his two children were struggling at Garfield and weren’t getting the individual attention they deserved. After assessing the issue, I asked Miguel if he knew that charter schools or magnet schools were an option, to which he replied, “Cual es la diferencia?” or “What’s the difference?” Miguel’s family was just one of many that I encountered while canvassing who struggled with understanding the system of education that is currently in place. In addition, all the canvassers were asked to survey families and ask questions regarding whether they would like new high-performing schools, including both charter and traditional schools, to be created in these neighborhoods that are struggling. These new schools are a real proposal – from Great Public Schools Now, or GPSN – that is on the table. The overwhelming majority of people that answered the survey agreed with this proposal, saying that at the end of the day, loyalty is to the students of our communities, not the current system. Families are open to the kind of change that GPSN would bring. After experiencing first-hand the response from communities that actually send their students to these schools, and having attended school in LAUSD myself, I decided to focus my efforts on ensuring that all students get access to a quality school, regardless of where they come from, their socioeconomic status, or the type of school they attend. Because of this, I joined Students for Education Reform UCLA, an on-campus nonprofit organization focused on tackling issues of educational inequality. Recognizing that local elections are coming up on May 16, we decided to host a traditional school vs. charter school debate on campus to try to clear up some confusion about both systems of schooling. In addition, we held phone bank sessions with members of our organization and spoke with many families in districts 2 and 4 about the differences between charters and traditional schools, to give them more information about the issues involved in the upcoming election. This political clash between proponents of traditional schools and charter schools is ludicrous, and families like Miguel’s and so many others are the ones who suffer from these frivolous debates. A student is a student, and quality education should be the main priority for voters in this upcoming election, no matter what type of public school it comes from. 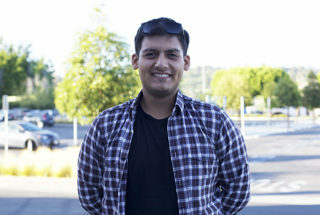 Martin Capuchino is a sophomore at UCLA and a member of Students for Education Reform UCLA.